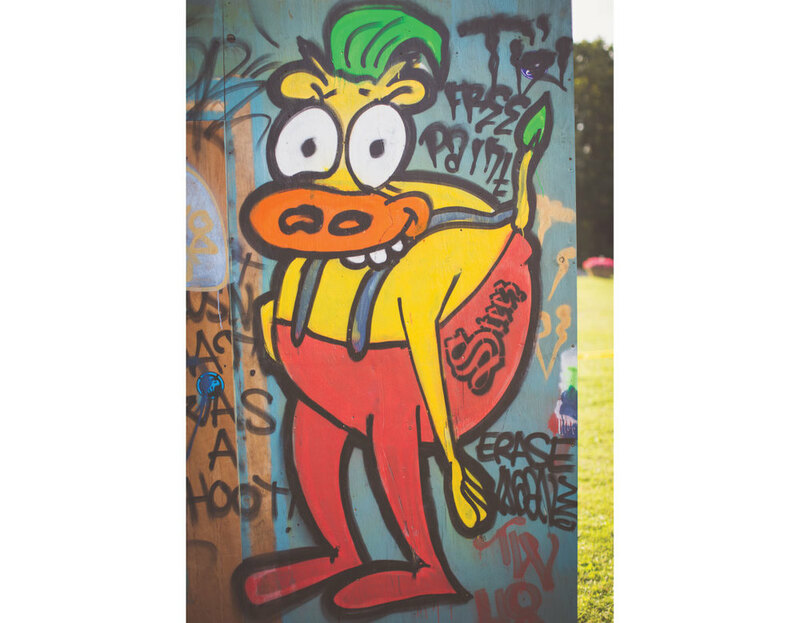 For the 28th issue release of Steez, we chose an outdoor venue as the drop fell in the middle of summer. The field at the Beverly Cove Center offered plenty of space and parking to accommodate a large crowd. For the event we brought in a custom built mini ramp to skate day and night. Stations were built around the field for a DJ booth, outdoor art show, product booth, beer tent and outdoor lounge. 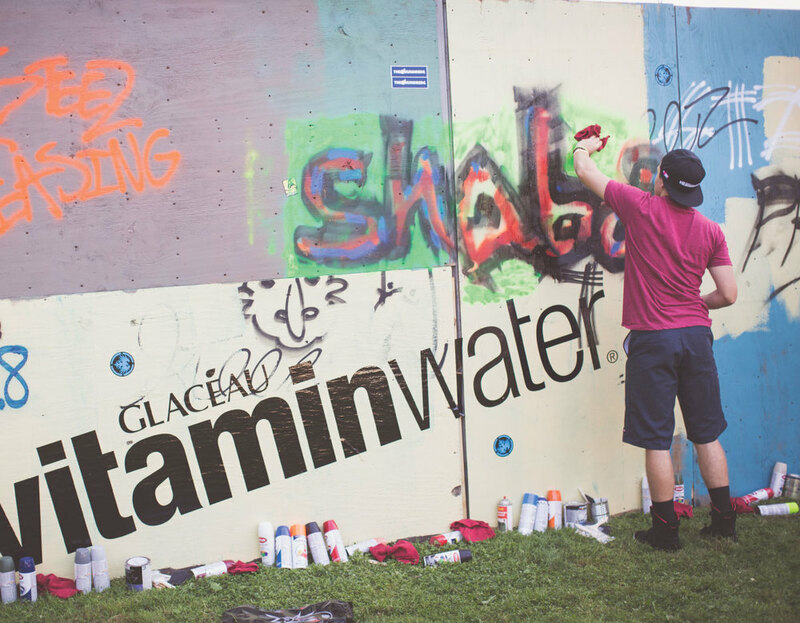 Being outdoors we also built a 50ft wide temporary graffiti wall and thanks to Vitamin Water and Dawson's Hardware we were able to supply nearly 100 cans of spray paint for attendees to use as they pleased. Vitamin Water sponsored a skate deck giveaway so that 30 lucky people got a blank deck that they were able to custom paint on-site. The release went well into the night and was gone by the following afternoon. 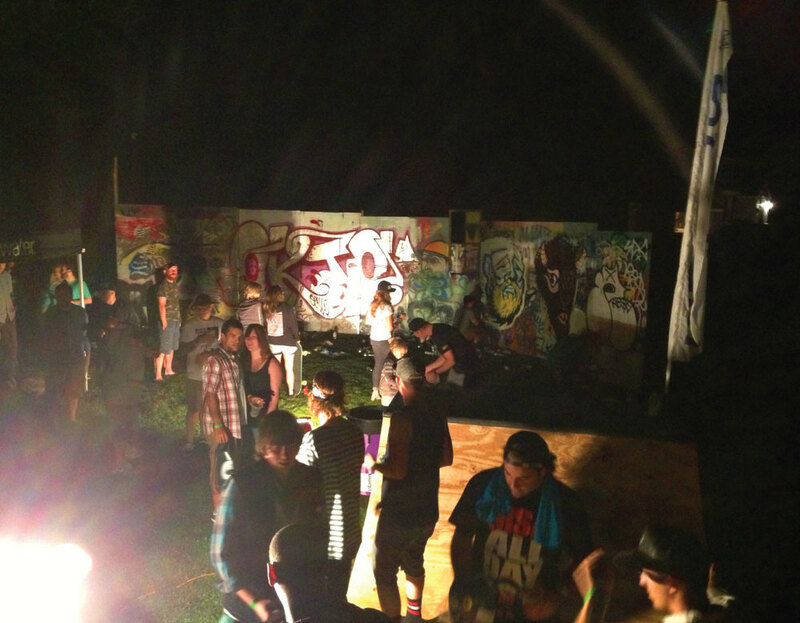 Below is a time-lapse video of the graffiti wall.